Songwriter Sessions may be the upcoming event you’re looking for. 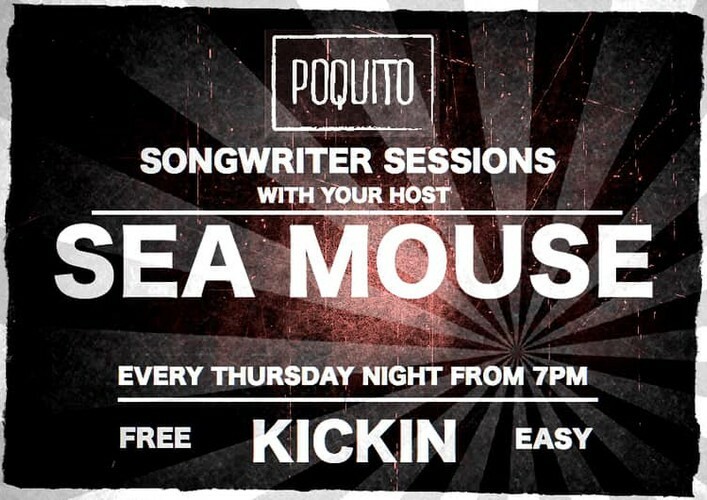 The Poquito Songwriter Sessions inspire every Thursday Night from 7pm. Bring an original song or two and share a beverage with like minded individuals. This night is for those who actually write and those who want to listen. We are lucky to have blues demon Sea Mouse at the helm as our host for the rest of the year. It's time to share what you've been working on all these years.